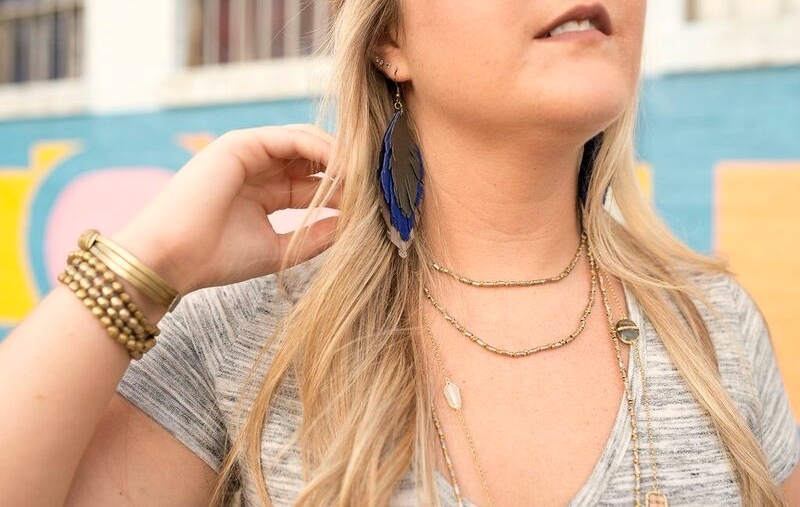 Upon borrowing several of her pieces and wearing them around, I also began learning more of what the Noonday Collection is all about. She had a trunk show last week that I was excited to be able to attend. It was so great to hear the passion in her voice as we sat on the front porch and talked about the impact that Noonday has on so many lives all around the world. Noonday is making a difference in many countries and giving jobs to people who otherwise wouldn't have one. From India, to South America, to several places in Africa, Noonday partners with fair trade companies. Everything you can buy was made in good working conditions and never involves slave labor. Many of the businesses that Noonday partners with employ a lot of women, and when women are employed, they're usually using their money to feed their families. The Noonday community helps to give women an opportunity to do what they were created to do: love, care, support, and cherish their children. Last February, Nancy and some others did an adoption show. For these types of shows, Noonday gives 10% of all sales straight to the adopting family. Nancy then matched the percentage, so the family received 20% of the sales of the show. The adopting mother says, "I think right after that we had a payment due close to that same amount. I remember it was almost to the penny the amount we had to pay to accept our referral for our passports." Not only does Noonday seek to empower those in vulnerable countries, but Noonday is also reaching out to those near us who are attempting to change the little lives of children by bringing them into their homes and making them part of their family. "Together we create a flourishing world where children are cherished, women are empowered, people have jobs, and we are connected." 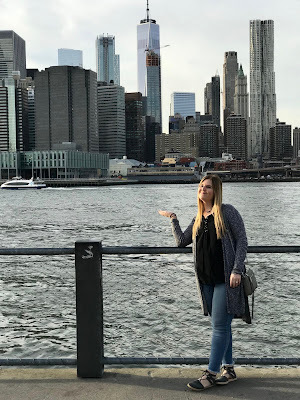 Nancy says, "Noonday has been so beautiful, put feet to my faith, and shown me so I can share with others that everybody has worth and value, and we should expect that they be treated as such." The jewelry is all made from materials found in these countries or by the people there. Bullet casings scattered across fields in Ethiopia are used to mix with metals and melted down to form glittery beads. In Guatemala, bead looms are created out of nails and a plank of wood where they string together the colorful beaded cuff bracelets. 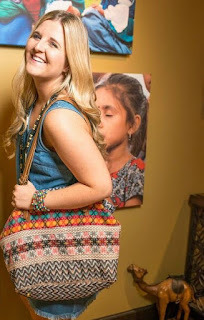 Women in Peru use the softest wool yarns to created beautiful embroidery that is crafted to make bags. Artisans in India design the hardware for many of the metal necklaces handmade from scratch. The delicate horn jewelry is generated in Vietnam, Tagua seeds from Ecuador, foot pedal sewing in Rwanda, and my personal favorite, the paper beads in Uganda. 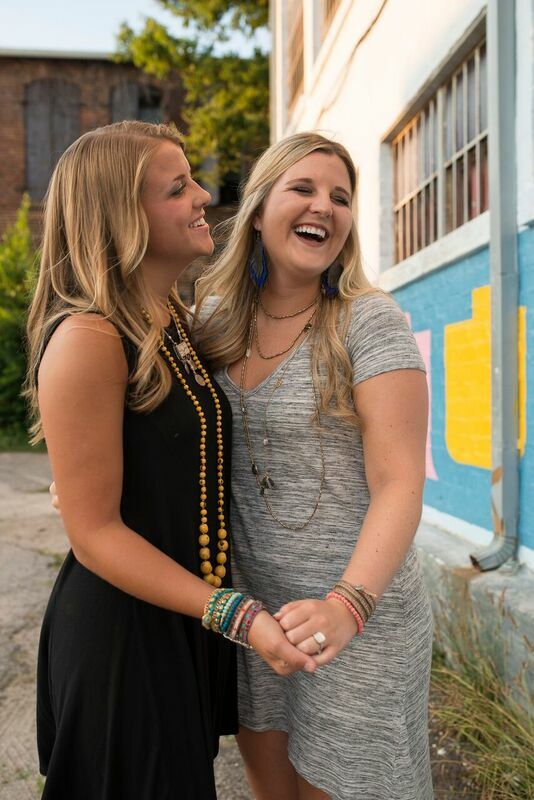 Just this past month, Noonday launched the Impact Uganda Giveback program where 10% of sales on paper beads will be given to social programs there, and they've already raised over $22,000. A new "end of season" sale will start next month. Stay tuned for the many great deals that will be going on then! Noonday develops relationships, offers long term employment, and transforms lives one piece of jewelry at a time. 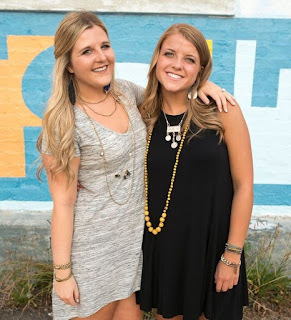 Check out the Noonday Collection website here to read more incredibly empowering stories from those who have directly benefited from this great community. 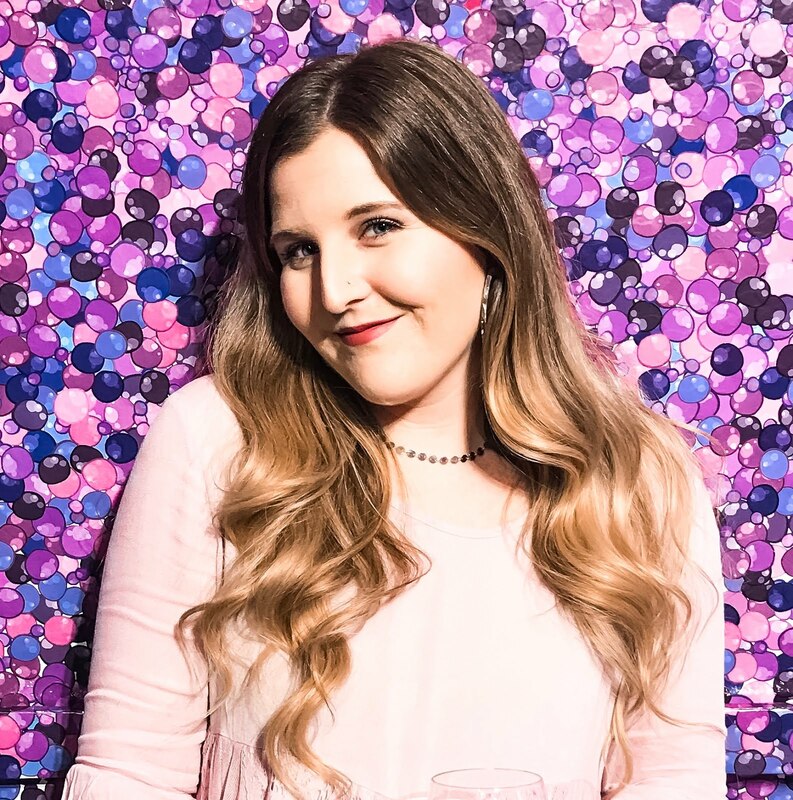 Shop the jewelry there as well to see all the perfect handmade treasures you can wear as a reminder that God has a plan and a purpose for each and every one of us.